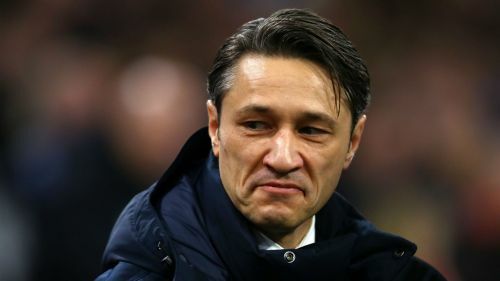 Bayern Munich coach Niko Kovac has his players back on side after having "discussions" with some of the squad following a difficult start to the season, according to club CEO Karl-Heinz Rummenigge. Kovac's men cruised to a 3-0 win over the Croatian's former club Eintracht Frankfurt on Saturday, as Franck Ribery netted twice and Rafinha rounded things off late on. The victory was Bayern's fifth in a row in the Bundesliga, suggesting the underwhelming start to the campaign – which saw them drop points six times in 12 matches – is well and truly over. They head into the mid-season break six points behind Borussia Dortmund and look certain to push Lucien Favre's men all the way. Rummenigge is convinced talks with certain players have helped Kovac turn things around, having previously looked close to losing his job. "Niko and the team are one again," he told Sky after the win in Frankfurt. "There have been discussions with Niko and some players, which has led a bit to the team re-joining with the coach. "It was important that we reacted well, which has made the team very well with the coach." Kovac was particularly impressed with the way Bayern raised their game after a tricky opening, accepting they made errors in the first 20 minutes. "It was a really good game of our team after the first 20 minutes, because we did not manage to stop the counter-attack or we made one or the other mistakes [early on]," Kovac told reporters. "After that, we raised what we wanted. We ran the ball fast with few touches, so the opponent did not get into the pressing. The last games were very good, that's what makes Bayern the winner."